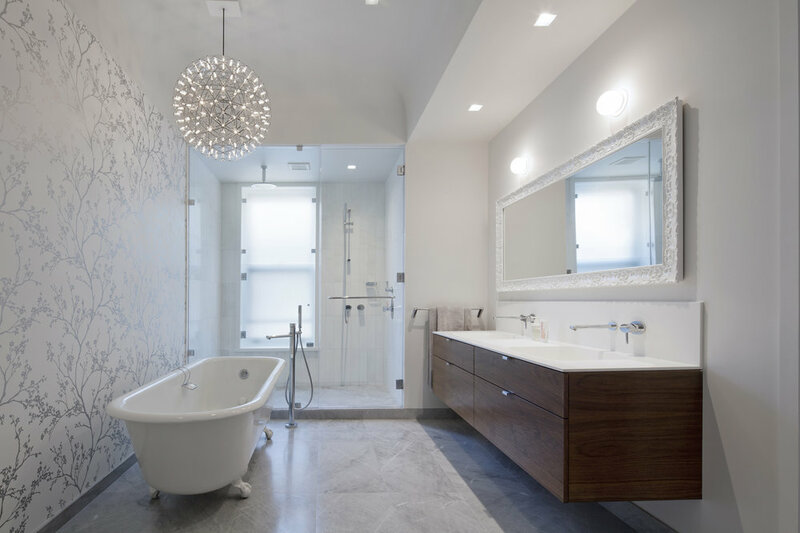 This complete renovation and interior design of a late 19th century brownstone in the Park Slope Historic District of Brooklyn is highlighted by the interplay between historic and contemporary design relationships and sensibilities. This duality is explored throughout the project in various ways. For the exterior, the historic Italianate front facade was restored to its original character while the rear facade was modified by creating a larger opening for new blackened steel windows and doors. These new, enlarged windows create a strong visual connection to the rear garden as well as maximize natural light conditions throughout the interior. 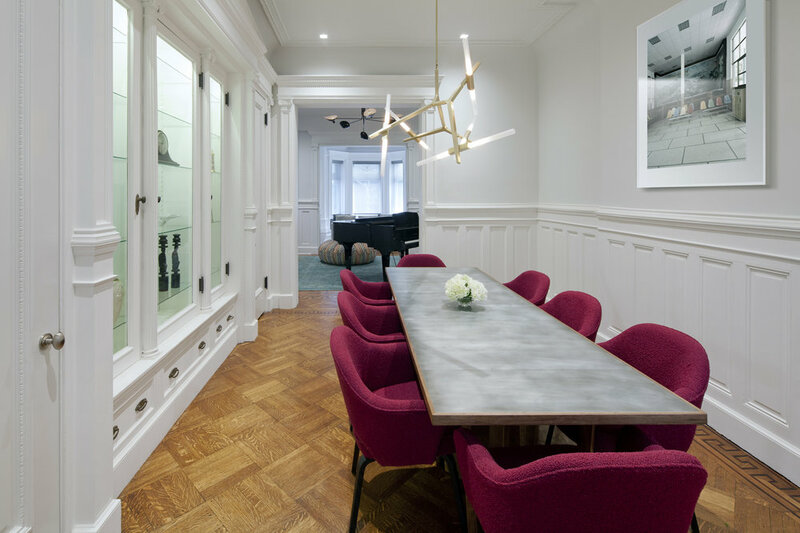 The design of the interior focused on the restoration and preservation of the extensive original details juxtaposed throughout with a deliberately modern aesthetic that is characterized by crisp detailing and a rich material palette. The furnishings selected for this house range from iconic modern furnishings to vintage and commissioned pieces that create a balance between the historic character of the house and the new design.